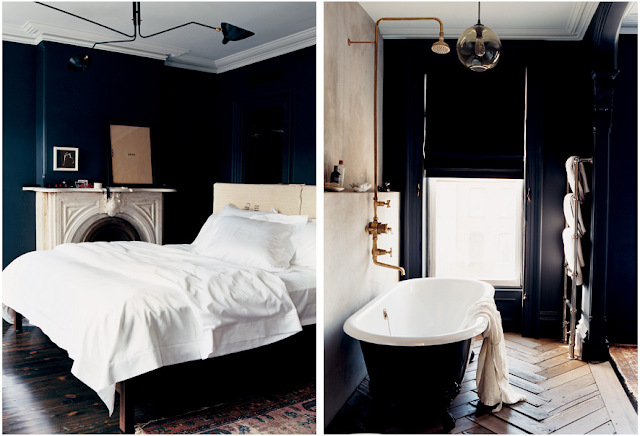 My dream bathroom photographed by Melanie Acevedo. I'm trying to decide what color to paint the accent wall in my bathroom, it gets a lot of light and has white wainscoting all the way around so I think I can go pretty dark. So far I have come up with these colors from Farrow & Ball.